﻿ The library is in full swing at our temporary location at 167 Elm Street in the Rangeway Plaza (Directions). From children’s story hours, to our book club discussion group, to a new way to learn about the books we have arriving each week, you'll find out about it here on our new website. Check back often to keep up-to-date on the programs offered at our temporary location, along with news about progress on our new library. And ﻿please consider making a donation today﻿ so that we can can continue to provide and expand the many services we offer the Salisbury community. Jeannette Lazarus, chair of the trustees, has painted a magnificent scene of the marsh. 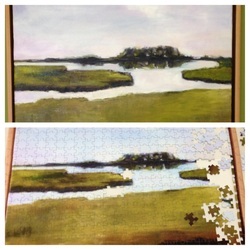 A puzzle has been created from her painting. Each piece will be sold to raise funds for the new library and comes with a raffle ticket. Once all the pieces are sold, a drawing will be held and the winner will take home the original custom framed 18X18 oil painting signed by the artist. Click on the puzzle for additional information. The next book club discussion will be on Tuesday, November 4th at 6:00 p.m. at the Salisbury Library temporary space on Route 110 in the Rangeway Plaza. This month we are going to be reading "Flight Behavior" by Barbara Kingsolver. Flight Behavior transfixes from its opening scene, when a young woman's narrow experience of life is thrown wide with the force of a raging fire. In the lyrical language of her native Appalachia, Barbara Kingsolver bares the rich, tarnished humanity of her novel's inhabitants and unearths the modern complexities of rural existence. Characters and reader alike are quickly carried beyond familiar territory here, into the unsettled ground of science, faith, and everyday truces between reason and conviction. Copies will be available at the front desk. For more information call 978-465-5071. 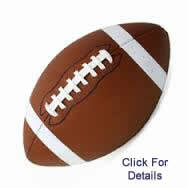 Click below for a brief video. Major construction milestone reached on September 27th. Click here for details. It's not too late to renew your annual Friends membership! Joan Cox was the winner of this year's Friends' Summer Membership Drive Kindle.